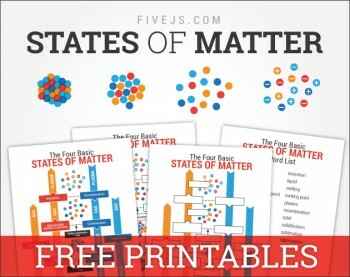 A color chart of the different states of matter, included labels for the changes between each state. The same chart with the labels removed so that the student can fill in the appropriate terms. An answer key for the fill-in-the-blank worksheet. A word list of all the terms related to the states of matter and changes between each phase. Click here for more free science printables!